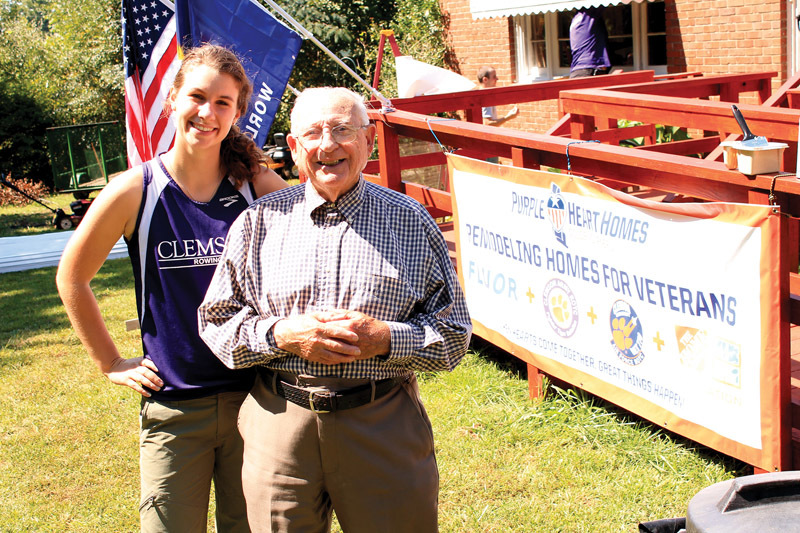 Cadets from both Army and Air Force ROTC programs worked with members of Purple Heart Homes, who are veterans themselves, to fix up the home of World War II veteran Fred Turner. These cadets worked at scraping old paint and repainting windows and awnings, as well as clearing out brush and debris in Turner’s back yard. Cadets were able to talk with and learn from veterans of multiple generations. Army and Air Force ROTC will be partnering with Purple Heart Homes during the spring semester as well.